The 2004 Biblical drama starring Jim Caviezel will soon be available on Blu-ray with dubs. 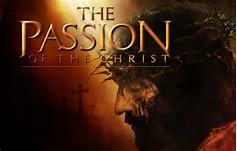 20th Century Fox is set to release 'The Passion of the Christ' on Blu-ray on February 7. The film begins in the Garden of Olives where Jesus has gone to pray after the Last Supper. Jesus must resist the temptations of Satan. Betrayed by Judas Iscariot, Jesus is then arrested and taken within the city walls of Jerusalem where leaders of the Pharisees confront him with accusations of blasphemy and his trial results in a condemnation to death. With inspiring performances from Jim Caviezel as Jesus and Monica Bellucci as Mary Magdalen, this new edition of The Passion of the Christ features English, Spanish and Portuguese language dubbed audio for the first time ever. The release will include NEW English, Spanish and Portuguese Language Dub; Original Theatrical and Recut Version Edited for Graphic Depictions; Audio Commentaries (Original Version) with Mel Gibson, Filmmakers and Theologians; Biblical Footnotes (Original Version); and Music Commentary (Selected Scenes, Original Version). 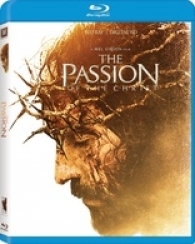 You can find the latest specs for 'The Passion of the Christ' linked from our Blu-ray Release Schedule, where it is indexed under February 7.